One of the key aspects of the Leica-M system is –in addition to its excellent mechanical-optical quality– its backwards compatibility. The latest model from the company, the Leica M (Type 240), can be used, with the help of a bayonet, with from 1954, and through certain adapters, with cameras from 1932. As you probably already know, the old lenses might not offer great results in these digital times. In addition, it is a system with a short registration distance, like the Leica M system –short mount distance between the camera and the focal plane- so vignetting, low resolution and green or purple halos near the corners of the pictures are common problems. The most popular solution to this problem is communicating a ROM memory or a CPU electronically to the lens of the camera. But, what can Leica do so these decades-old lenses, without any kind of digital component, can offer good results compared to the devices we use nowadays? Also, what did they do to make newer lenses backwards compatible with old cameras, a key concept for a company that puts such a strong emphasis on compatibility? The solution is a six-bit optical coding that allows lenses and cameras to communicate “visually” through the frame. Theoretically, it’s a very simple concept: various LEDs light the sectors over the lens, indented and painted in black and white, and the resulting reading "knows” the lens it’s dealing with and makes the camera adjust to it. Since the firmware can be updated, and the combinations offered by the 6-bit system are vast (64 variants), it is possible to add new coding for more cameras, as well as improving the existing ones. For those who have non-coded lenses, there’s an option to input data about the lens you want to use. A very nice aspect about this system is that older lenses –even from 1954– can be coded by paying and affordable fee. Attention, this is a forbidden combination! If you’re using a Leica Summar 5 cm f/2, without coating (1933-1940), and you plug it in, you can seriously damage your camera. But if you’re careful and you use the appropriate adapter … you can use it! And it fits perfectly with the rangefinder. Currently, the list of Leica-M lenses is comprised by 19 references. Five of them are 50 mm lenses, from the Summarit-M 50 mm f/2,5 to the Noctilux-M 50 mm f/0,95. As for the wide-angle lenses, there’s an 18 mm one, two 21 mm lenses, two 24 mm lenses, two 28 mm lenses and three 35 mm lenses. To this offer, two 75 mm and one 90 mm lenses can be added. A very particular lens -a tri-focal-, the Tri-Elmar, offers focal lengths equivalent to 16, 18 and 21 mm with an aperture of f/4. Unlike the previous Tri-Elmar, with fixed lengths (28, 35 and 50 mm), this Tri-Elmar offers an excellent zoom and can be used with intermediate focal lengths. The Live-View vision of the Leica M (Type 240) allows you to take full advantage of these transitions, using both the rear screen and the eye-level electronic viewfinder. Leica has probably decided to keep calling it "Tri-Elmar” because in models prior to the Type 240, since they need an external optical viewfinder, there wasn’t another solution for the three lenses. Or is it because the Word "Zoom" would’ve sound a bit sacrilegious for the Leica M users? 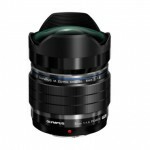 Lenses from other manufacturers, like Zeiss, Voigtländer and even some Japanese ones, are offering this system as well.